A photo from July of 1862. On the deck of the USS Monitor, looking forward on the starboard side. 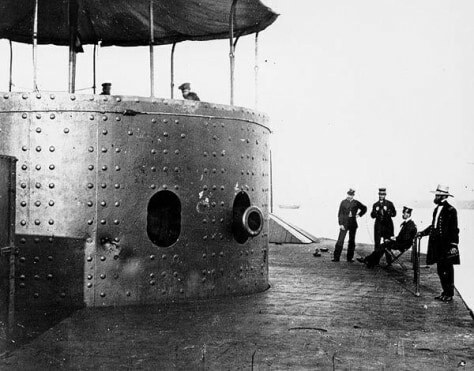 The large dents in the gun turret's armor are scars from Confederate heavy guns. The Monitor was a low-lying, floating fortress. Only about 18 inches of the ship appeared above the waterline.